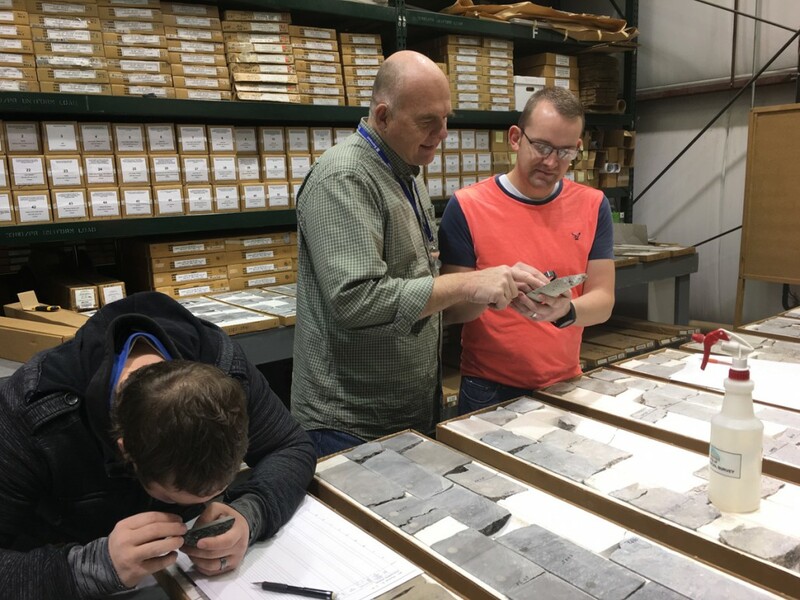 Graduate students and their professor from Brigham Young University examining newly donated Greater Aneth cores as part of their thesis research. The Utah Core Research Center (UCRC) has added to its inventory an amazing and scientifically significant collection of cores taken from wells in Utah’s largest oil field, Greater Aneth in the southeasternmost part of the state in the Four Corners area. Cores taken while drilling provide an incredible wealth of information about oil- and gas-producing rocks (reservoirs) that geologists and engineers can use to increase production, reduce risks, and find new reserves. Surprisingly, many fields have no or very few cores, due in part to the high cost of acquisition (as much as $2,500 per foot). In addition, at a time of low oil prices many oil companies are opting to permanently dispose of their cores rather than pay fees for continued storage. This was the case at Greater Aneth field but instead of being disposed, this massive collection of cores was generously donated to the UCRC by the field operator Resolute Energy Corporation of Denver, Colorado. Resolute and Peter Nielsen, UCRC Curator, worked very hard to permanently preserve the Aneth core collection and make it publicly available for study and education by other oil companies, universities, and research organizations. The Resolute collection consists of cores from 127 wells totaling 24,318 feet—or about 4.6 miles. Prior to this donation, the UCRC had only seven cores from the northwest part of the field and a dense concentration of cores (acquired over many years since the field was discovered in 1956) in the southwest of the horseshoe-shaped field boundary, leaving vast areas of Greater Aneth with no publicly available core coverage. Now the UCRC has cores from an incredible 43 percent of the Greater Aneth wells, especially unusual for such a large field (i.e., 444 active wells). It took six semi trucks to haul the cores from a storage facility in Texas to Utah! Besides donating the Aneth core, Resolute also provided generous funding to cover most of the shipping and logistical costs. The remaining funds to move the cores were provided by generous donations from the Utah Geological Association, the Rocky Mountain Section of the American Association of Petroleum Geologists (RMS AAPG), and the RMS AAPG Foundation. These organizations also recognized the great importance of preserving this truly remarkable collection for future generations of geologists. 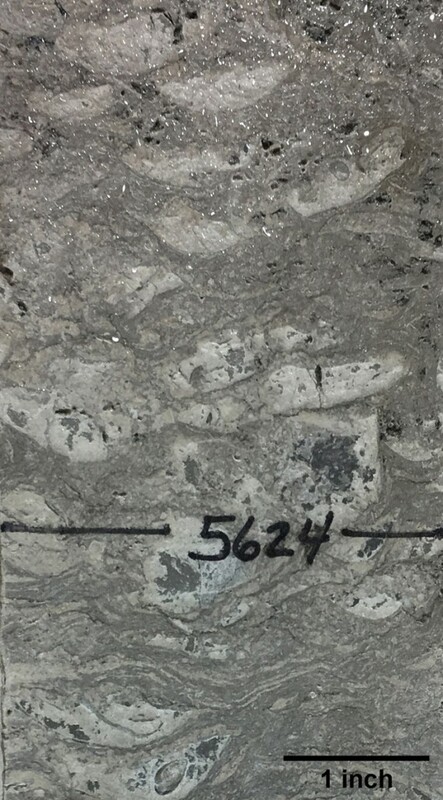 Besides the cores, Resolute also donated thin sections (microscope slides made from rocks), drill-hole cuttings, core analyses, core descriptions, and other important data and company reports. Peter Nielsen estimates the approximate cost in today’s dollars to obtain these cores (drill-rig time, special core-drilling equipment, core preparation, etc. ), as well as the other donated materials, would be an astonishing $60 million! Acquisition of the Aneth field core collection is a magical and important addition to the teaching/research collection of the Utah Geological Survey. 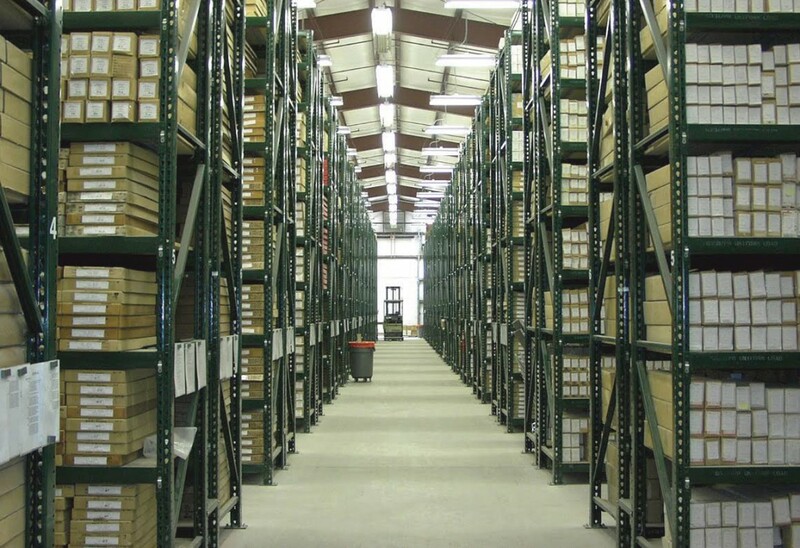 Academic and industry researchers will, for the first time, have access to a complete core collection from Utah’s largest oil field. This collection will surely be the basis for numerous future student research projects and teaching workshops devoted to classic Pennsylvanian and carbonate reservoirs. Congratulations UGS and Resolute Energy for making this happen!! The significance of this donation both for the students involved and for the larger geological community is the integration of data from a variety of related sources to develop a holistic understanding of this remarkable carbonate field. The core and other materials donated by Resolute could profitably occupy an entire research career. I intend to spend much of my remaining career working on Aneth field. It is our hope that the UCRC can acquire additional sets of these incredibly important cores from other Utah oil and gas fields, especially if they are in jeopardy of heading to a landfill. To geologists, whether in the petroleum industry or a bright young university student, these cores are true “treasure troves” that may hold the keys to future oil and scientific discoveries. To see the new Greater Aneth oil field core set or schedule a workshop at the UCRC, contact Peter Nielsen, Curator (801-537-3359, email: peternielsen@utah.gov). Glad You Asked: Do Ants Mine Gold?